In a future timeline, Aaron Stack (Machine Man), serving as Earth’s Watcher, states that after the death of Rose, “…Logan began to drift from place to place, job to job…” before he met Sabretooth. Though future timelines such as Paradise X are notoriously unreliable, this view does fit well within this proposed continuity. When Wolverine and Spider-Man are sent through time, Spider-Man finds himself face-to-face with a fur-clad Logan and his pack of wolves. As Logan and the wolves chase Spider-Man through the snow-covered Canadian wilderness, Logan is confronted by Dog, his face scarred from his earlier fight with Logan. After Dog’s shotgun blast misses Logan, Dog harangues Logan for killing his father and ruining his life. He finally throws a stick of dynamite at Logan as Spider-Man jumps through time again. Logan’s confrontation with Dog is left unfinished, but Logan soon finds himself in Japan to visit the land of the samurai that he had read about in the book Smitty had given him several years earlier, perhaps traveling as deckhand aboard a western-bound Japanese ship…. Logan notes that his first trip to Japan was longer ago than he cared to remember. While in Japan with the X-Men, Wolverine mused “I was a punk kid last time I was in Japan. I didn’t figure on ever comin’ back.” But when Chris Claremont fleshed out these early X-Men stories some nine years later in Classic X-Men, he changed the internal dialogue to, “I was a punk kid first time I came to Japan. An’ the last time I left, I didn’t figure on ever coming back.” The updated version represented Claremont’s attempt to reconcile Wolverine’s statements about Japan before Logan’s background had been more fully considered. In any event, it is during this period of Logan’s life that he first ventures to Japan. Logan reveals a bit of his past to Storm, “I was bumming ’round Tokyo, running away from whatever personal demons I had on me at the time… when I got picked up by the Hand.” In the ensuing flashback, Logan is handed a sword by a cloaked stranger who speaks Japanese with an Italian accent and is told to dispose of a foreigner who has been killing prostitutes. Under the threat of execution, Logan complies and quickly tracks down the foreigner, Victor Creed (later known as Sabretooth). Logan prevents Creed from killing another victim by cutting off Creed’s hand with his newly-acquired samurai sword, but is shocked when Creed reattaches the hand and it heals back to normal almost instantly. Logan speaks Japanese well enough to notice the cloaked stranger’s Japanese is horrible and is streetwise enough to understand, “I’d met enough men like that to know you do what you’re told if you wanna keep on living.” On seeing Victor Creed in Tokyo, Logan confirms this was their first meeting, “All I thought was… that an animal or a man? …He smelled more like… me.” It is also highly probable that the cloaked figure is Romulus, a villain who seems to shadow and control Logan throughout his life. Logan continues to fight Victor Creed, impaling him with his sword when an unknown stranger stops the fight. It is conceivable that Romulus, who arranged this meeting in the first place, was also the one to halt it, merely wanting Logan and Creed to confront each other in battle. At the Madripoor offices of Landau, Luckman and Lake, Jessica Drew notices a 19th century tintype photograph of Logan and a man named Chang. It is conceivable that Logan met Chang during this trip to Madripoor. The only caveat is that this meeting would require Chang to be preternaturally old as he appeared within current continuity as late as 1989. Logan notes that he first met Seraph, “…before the first World War, back in my ‘freelancin’ days. 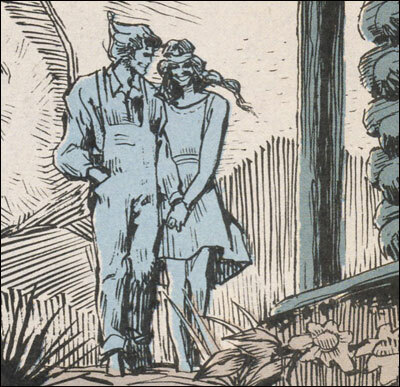 '” He later laments that “…meetin’ her was exactly what… they wanted me to do.” Logan begins to learn the ways of the world from Seraph — possibly at the behest of Romulus. During a vicious fight between Wolverine and Sabretooth, Psylocke, a telepath, extracts information from Sabretooth’s mind that suggests a much younger Logan was savagely beaten by Sabretooth a very long time ago and left to die on a bloody snowscape. 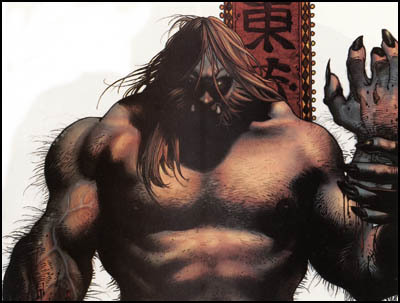 For years, fans had noted the physical similaries between Wolverine and Iron Fist villain Sabretooth. This single panel flashback represented the first confirmation that Logan and Sabretooth did, indeed, share a mysterious past. Chris Claremont quickly followed up with this Classic X-Men backup story, giving fans a tantalizing hint into the past that Logan and Sabretooth shared. Chris Claremont’s final issue of Wolverine gave fans what they had been hoping for. A story in days long gone of Logan’s “first” confrontation with Sabretooth. Note also that Logan remembers a time before meeting Sabretooth when he climbed sheer cliffs with his bare hands for fun. “No man nor beast was my equal so I set myself against nature. Always pushing limits because it never entered my fool head that I had any.” With the departure of Chris Claremont from Wolverine, Larry Hama soon took over the reins for more than eight years of stories, adding much to Wolverine’s past. Unfortunately, Hama seemed to relish flash over substance, and his revelations soon began to contradict what had come before and even at times what he himself had written. He conveniently added the dreaded memory implant to Wolverine’s past to account for any contradictory memories, further confusing Wolverine’s already convoluted history. After surviving a plane crash, Logan remembers planning to celebrate his birthday with Silver Fox long ago. When Logan returns to his cabin, he finds Silver Fox butchered by a sadistic individual. Carrying her lifeless body, Logan trudges through the snow to a frontier-style bar, vowing revenge. Once inside, Sabretooth admits to killing Silver Fox, even offering Logan a slice of the birthday cake Silver Fox had baked. 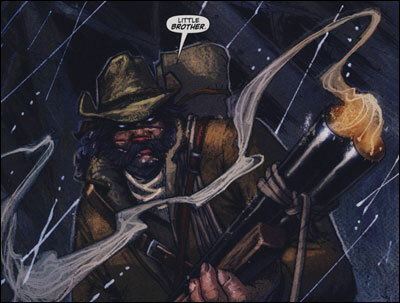 As Logan is about to attack, Sabretooth reveals that he is Logan’s father. Larry Hama’s first foray into Logan’s past with Sabretooth is a bizarre tale that ties past memories with the present. As Wolverine stumbles through the sewers of New York City after a plane crash, he inexplicably comes across Sabretooth in present day just as he remembers the death of Silver Fox. Sabretooth provides further commentary including the revelation that he is Logan’s father. After a lengthy fight between Wolverine and Sabretooth, SHIELD technicians are able to prove from blood samples that Logan and Sabretooth are not related. Nick Fury, Director of SHIELD, does admit, though, that Sabretooth does seem to believe that he is Logan’s father. Logan remembers owning a dog with Silver Fox when they lived in the Canadian wilderness. Old Blue had gone missing for a week, and when the dog returns to the log cabin, he is showing the telltale signs of rabies. Silver Fox hands Logan his rifle and tells him that he has to shoot the dog. When it becomes obvious that Logan cannot pull the trigger, Silver Fox takes the rifle and kills the dog herself. After a visit to the Weapon X facilities stirs up a host of Logan’s lost memories, Professor Xavier and Jean Grey probe Logan’s mind to assist him in recovering his past. In a flash, Logan remembers carving his name and that of an Indian girl named Silver Fox into a tree with his father’s knife during a spring long ago. However, additional memories break loose of Silver Fox as a revolutionary who Logan captured while teamed up with Sabretooth during his time with the CIA. The contradictory memories presented in this issue along with the insinuation that Logan’s remembrances of his time with Silver Fox were memory implants based on images from a calendar suddenly allowed for the possibility that every one of Wolverine’s memories could have been false. Wolverine locates a Weapon X warehouse in Windsor, Canada and discovers sound stages used to create false memories in Weapon X participants. While he does find sets for where he captured the revolutionary Silver Fox and the saloon where he fought Sabretooth, Wolverine notes with a sense of relief that there are no sets for the cabin he shared with Silver Fox long ago. Unbeknownest to Logan, Silver Fox makes a behind-the-scenes appearance, revealing herself as a leader of the nefarious Hydra organization. This was perplexing for fans since by all accounts, Sabretooth had murdered Silver Fox lo these many years ago. When Sabretooth is attacked by Shiva, a Weapon X robot designed to trigger painful memories, Sabretooth flashes back to a time long ago when he was father to a young Logan. When Logan tries to hide a Blackfoot medicine pouch from him, Sabretooth savagely beats him for having relations with an Indian from the reservation. While we have established that Sabretooth is not Logan’s father, this flashback serves to give a better view of Sabretooth’s false memories surrounding Logan. Wolverine receives a similar electronic memory trigger from Shiva and remembers a mission in Cuba with Sabretooth where he fought a tentacled creature named Zora de Plata, the Silver Fox of Sierra Maestra, apparently the same Silver Fox from Logan’s past. This storyline just gets weirder and weirder. The memory flashes continue to contradict themselves leading readers to simply wait and see how everything would be resolved. In all honesty, I was so disillusioned by this series at this point that I stopped reading Marvel Comics for several years. As Wolverine and Sabretooth dig deeper into the mystery of their lost memories, Silver Fox makes a surprise appearance, stating that they were all members of the Weapon X project. Wolverine and Sabretooth are flooded with memories of Silver Fox’s death, but she does nothing to clear up the apparent contradiction. Aside from the revelation that Silver Fox was a part of the Weapon X team, we do learn that the reason Sabretooth ‘killed’ her was because she refused his advances. There is also a confusing memory sequence (I can’t be sure if it belongs to Silver Fox, Wolverine or both) that shows a very young Silver Fox giving an equally young Logan an Indian medicine pouch as a token of her affection. Wolverine, Sabretooth and Silver Fox track down Aldo Ferro, a telepath who was responsible for memory suppression and memory implants of the Weapon X participants by linking false memories to pain receptors. Aldo Ferro reveals to Wolverine that his happiest memories of living together with Silver Fox in the cabin were, in fact, real. 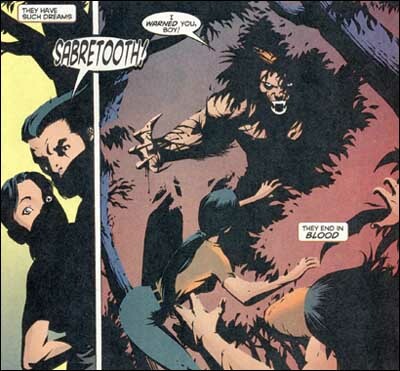 The false memories were based on the fact that Silver Fox knocked out one of Sabretooth’s teeth when she refused his advance. The ‘revelation’ of this issue and, in fact, this lengthy storyline is mind-boggling. We are to believe that the source of all of these painful memories was a knocked-out tooth? And the finale of the story is the death of Silver Fox (again) at the hands of Sabretooth (again). The only worthwhile piece of information comes from Logan remembering that Silver Fox sent him away from the cabin for an hour so she could surprise him for his birthday. As Logan prepares for Silver Fox’s funeral, former Weapon X teammate John Wraith reveals that, based on classified data, Logan and Silver Fox’s cabin did exist. Wolverine and Silver Fox’s body are secretly flown to the cabin where Wolverine finds the etched “Logan & Silver Fox” carving on the cabin wall. As Wolverine buries Silver Fox, he vividly remembers digging a hole in the ground near the cabin long ago while Silver Fox brought him cold water from a nearby stream. It was an idyllic time for the two of them, a time Logan hoped would never end. Years later when Logan takes Elektra to the cabin he shared with Silver Fox, he travels to a remote area of Canada. Many years after Larry Hama’s disastrous version of Logan and Sabretooth’s ‘initial’ encounter, Chris Claremont returned to Wolverine for a four-issue arc, bringing to the story a little more detail and simplicity. The Klondike gold rush began in 1896, but Kluane Country (that includes Mount Logan) did not experience a gold rush until 1903, ending in 1904. And by 1924, the primary town supporting the gold rush, Silver City, had been largely abandoned. Logan admits that Sabretooth left him for dead after they fought and that every year after that on his birthday, Sabretooth would put his mark on him. Sabretooth reminds Wolverine that he offered him a chance to work with him way back when. Perhaps their animosity stems from Logan ‘s refusal. In an era where Wolverine retains full control over his memories, the idea that Silver Fox was not killed by Sabretooth seems to have disappeared. When we investigate Logan’s time with Team X, I will attempt to explain why this might not be as contradictory as it might seem. In any event, the most recent stories dealing with Sabretooth and Silver Fox show demonstrably that Silver Fox was brutally murdered by Sabretooth. With his memories restored from the events of House of M, Wolverine dreams of Silver Fox. Logan flashes back to his life with Silver Fox. “She was Blackfoot an’ her husband had died three winters before. I used to see her out in the woods when I went huntin’. Maybe it was ‘cause she didn’t have anyone else… but eventually, she became my woman. She was a beautiful woman, an’ strong—she taught me how to trap. She taught me that it was alright to love again. When I came back, she was dead. It didn’t take me long to figure out who killed ‘er. We fought. I lost.” As Logan lay on the ground in defeat, Sabretooth explained why he killed Silver Fox. “Them folks livin’ in that dirt patch of a town over there? Ones you thought were your friends? Well, they ain’t. They’re scared o’ you, boy—they don’t want ya around. So they got rid o’ the one thing that was keepin’ you here.” After Sabretooth finished filling in more details, it seems that a mysterious individual (Romulus) added a few final words. “You have no thoughts of your own. You are not entitled to them. You are not entitled to anything. You are not a man… you are a weapon. My weapon.” While Logan sensed Sabretooth was lying, he, nonetheless, used an ax that Sabretooth had left to kill everyone in the town. Enduring a near-death experience, Logan has visions of Silver Fox and is haunted by her death. This is the first time that Silver Fox’s mysterious reappearance has been acknowledged so perhaps Jeph Loeb is building a platform to address this dangling plot thread. How this will play out… only time will tell. Logan remembers Silver Fox’s death, claiming she was killed to keep him under control. In a flash, Wolverine recollects killing the people of Mount Logan with an ax. 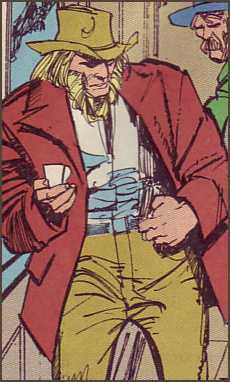 In the first true origin story of Sabretooth, we witness Victor Creed returning to a frontier town only to find Logan in a barroom brawl, apparently the result a bad joke about Silver Fox. Creed gives Logan an assist and the two share a beer in the aftermath, neither seemingly aware of their previous encounter in Japan. Logan introduces his new friend to Silver Fox, but as we’ve seen before, Logan is destined to return to the same saloon on his birthday, carrying a dead Silver Fox in his arms. Logan and Sabretooth fight, with Logan getting beaten to a bloody pulp. Wolverine tells Nick Fury, “After Sabretooth killed Silver Fox an’ after I did what I did, I ended up doin’ work for the Hudson Bay Company, ‘protectin” the company’s interests from the locals.” We are again witness to Silver Fox’s death at the hands of Sabretooth and the villagers’ death at the hands of Logan, but this is the first time the events of the Hudson’s Bay Company are placed after Logan’s fight with Sabretooth. This does make chronological sense as it is Silver Fox who teaches Logan how to trap. Wolverine remembers meeting Silver Fox. On an especially emotional birthday, Wolverine has a hallucination of Silver Fox. Jeph Loeb did confuse the crap out of me too. I always thought Sabretooth and Logan first met in Canada. I guess we will always suffer headaches like this , when ever a bad writer gets ahold of Logan’s Origin. Are we explicitly told that the shadowy figure is Romulus? No. Could it be Cyber? Possibly. But the introduction of Romulus as the shadowy villain during this time period fits too well for me, so I am making the leap that the figure is in fact Romulus. I liked that Loeb retcon that Creed actually did kill Silverfox. I loved Hama’s run but her being alive took the drama away from Logan and Creed during that run. 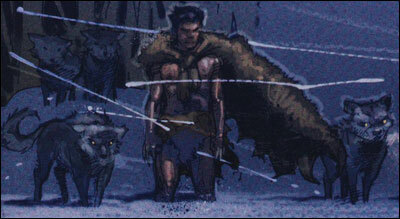 I wonder if the 2nd Fox was a Weapon-X clone or a creature similar to the Native. Remember it was sugested in Wolverine vol. 2 #50 that the 2nd Fox killed the Professor with claws. I also think there is a story not seen as how Romulus tamed Creed to his will. And what did Creed do to have Romulus abandon him in favor of Wild Child? I was happy when the mentioned Silver Fox’s reappearance in issue 55. Maybe she was a clone or something created to manipulate Logan. That would make the most sense. Because I honestly don’t think she was the real Silver Fox brought back from the dead. On a related note it looks like Silver Fox will make a appearance in the Wolverine movie coming out in the spring of 2009. According to IMDB, actress Lynn Collins has been cast for the role of Silver Fox. 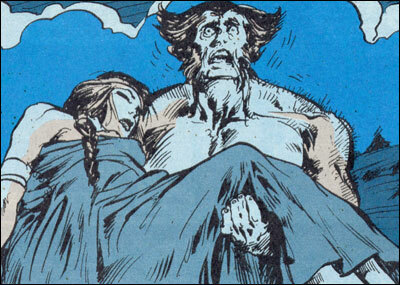 Yeh the assertion the Silverfox killed the Prof. with her own set of claws in Wolverine vol. 2 #50 seems to indicate that maybe she was not the real deal. I wonder when Marvel will tie up some of the lose ends left from these old stories? I love stuff like that. somebody explain please seemed tooth did kill fox but she could have been brought back to life by romulus to play headgames with logan and creed in the future romulus loves mindgames and he used fox to mess up logan’s mind and creed when they were all cia agents who else but romulus could have devised that. then when fox served no other purp[ose he had creed kill her again.